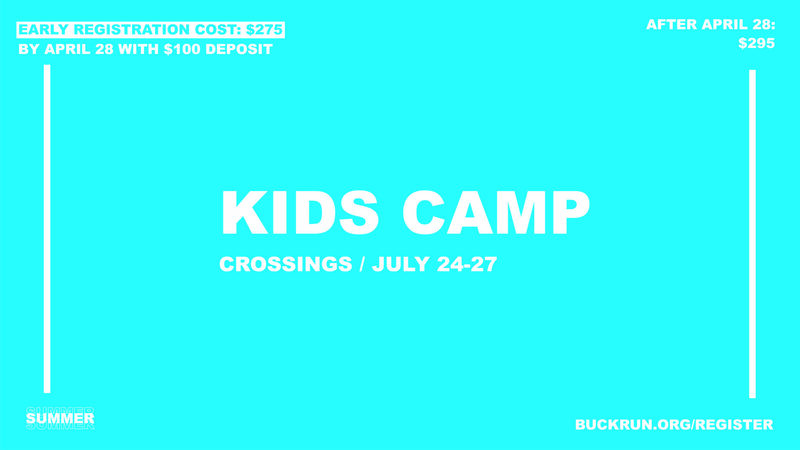 Every year we take our kids to camp in order to have fun, build relationships, and encounter Jesus! This summer our children currently in grades 2-5 are headed to Crossings Cedarmore in Bagdad, KY. It will be a high energy, three day experience of fun activities, small groups, singing God’s praise, and hearing God’s Word from Jared Kennedy. Join us for Kids Camp July 24-27. A $100 deposit of the total $275 cost is due by April 28.